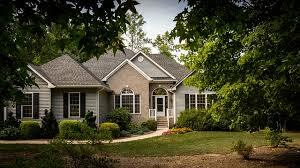 Are you thinking about buying a home in Lake Forest? If so, you've come to the right place! Lake Forest 40245 is located off of the Gene Snyder Freeway between Shelbyville Road and Old Henry Road in Louisville, Kentucky. This community is an awesome East-end subdivision in Jefferson County wherethe neighborhood spans more than 2,000 sprawling acres. The Lake Forest 40245 subdivision is viewed as one of Louisville’s most prestigious communities and it's located only twenty minutes east of Downtown Louisville. Lake Forest also features an Arnold Palmer-designed championship golf course, tennis courts, swimming pools and a clubhouse and more! The homes for sale in Lake Forest range from new construction to over 25 years old, and prices range from $275,000 to over $2,000,000.